WooWoo Monroe Wins California Gold – Drag Queens Galore! 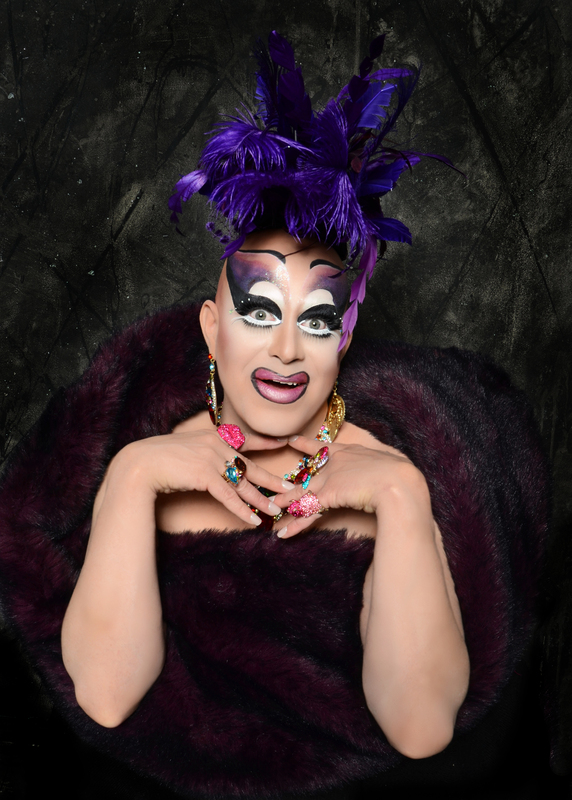 WooWoo Monroe is a well-known camp drag queen out of San Jose California. She hosts a show once a month called CIRQ-US at Renegades nightclub also in San Jose. She recently won the title at California Gold Pageant and gave us the opportunity to speak to her and get to know her better. WooWoo was born in 1969 and is originally from Rawlings, Wyoming.She started doing drag three years ago when she and friends went to a party dressed up in mock drag just for fun. Everyone loved seeing WooWoo in drag and kept requesting her to come to their parties and perform. She had so much performing she decided to make it a permanent thing. 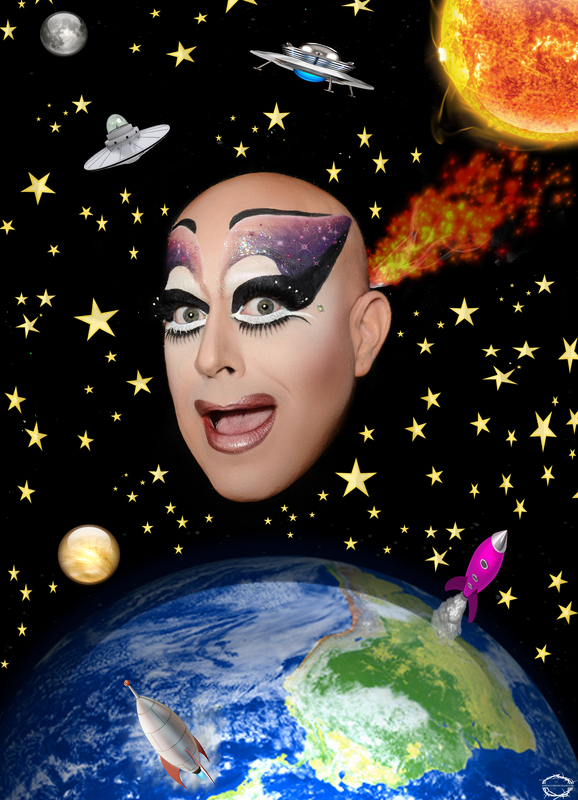 The self-proclaimed “camp queen” chooses to do drag bald to show that bald is beautiful. Two years ago, the queen of San Francisco media, Pollo Del Mar first asked WooWoo to be a contender in the California Gold Pageant but the first year she took much needed time off because of her busy schedule and last year she had to undergo knee surgery but this year she was available to compete for the title.. Each contestant in the pageant represented a charity of their choice, WooWoo choose to represent the Leukemia and Lymphoma Society located in San Jose California. She choose this charity because her older brother was diagnosed with leukemia. She has also been a participant in the Leukemia and Lymphoma Society marathons for six years. After only one year of doing drag she was asked to host her own show in San Jose. Her show is called CIRQ-US at Renegades in San Jose every second Saturday of the month. She prefers to do numbers that are different and make people think outside the box. At her show in San Jose don’t get too close because that is the “splash zone” and audience members may get drenched in props, whether it be water/glitter. The upcoming show at Renegades is WooWoo’s CIRQ-US show on Aug 8 featuring Trixie Mattel, Sue Case and Angel Michaels. On Aug 13 will be performing at the Monster Show at The Edge. She will also be at Silicon Valley Pride on August 30, and will be on the float, which they just brought the parade back after a few years. She promises to keep her performances creative and different. Her advice to young queens is to listen to every word of advice they receive, think outside of the box and stay true to yourself. 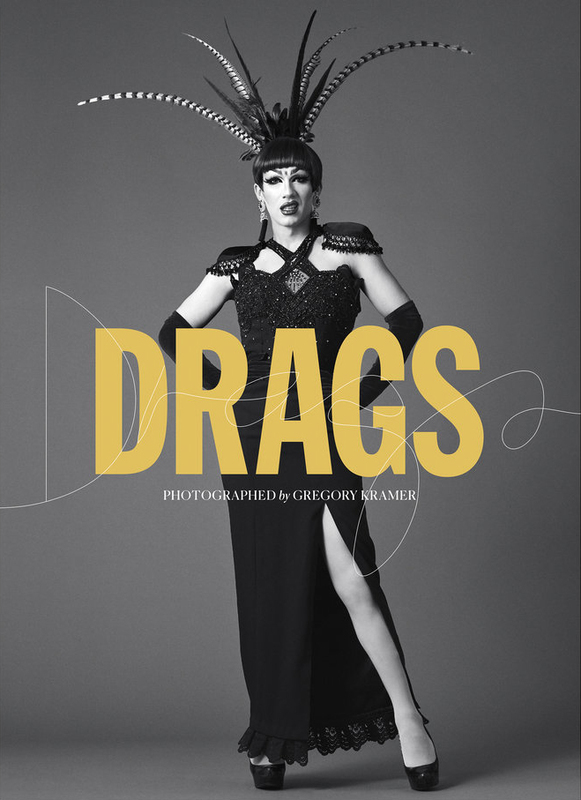 She strongly believes that doing drag and performing should be fun and once it’s not fun anymore than it should be stopped. Because when the performer in no longer having fun it is portrayed in their performance. Because she believes in that is why she strongly suggests that once a drag queen is no longer having fun than they should stop doing drag. One thing that most people don’t know about WooWoo is that she dated more women than men. When she was younger she struggled with the acceptance of being gay. She prayed on it a lot and didn’t understand why she still had these feelings. She eventually accepted who she was and couldn’t be happier. 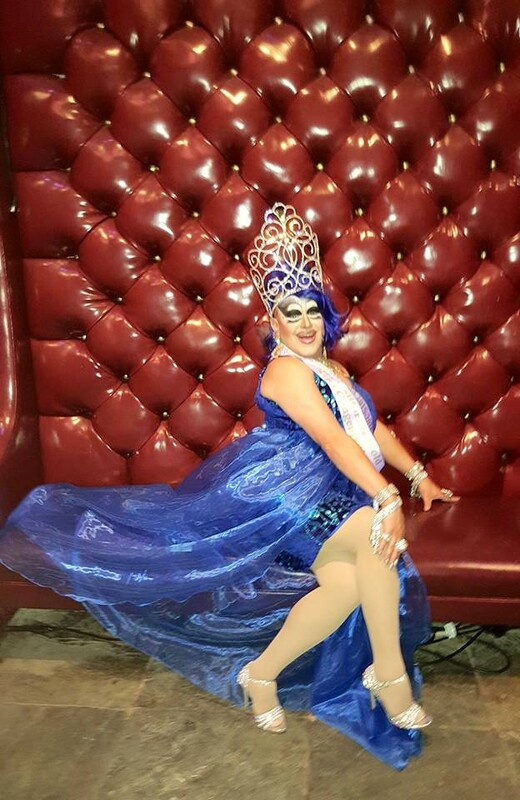 WooWoo Monroe is a spectacular camp queen out of San Jose who also happens to make a “mean” shrimp gumbo. If you haven’t seen her perform yet, then you are missing out. Make your way to see her perform as soon as possible and join team WooWoo. Follow WooWoo on Facebook and Instagram for updates,upcoming events and all the fun pictures.